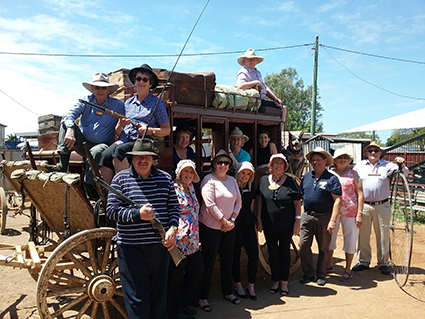 On the 11th October 2016, 11 Tour Organisers got to experience the true out-back in Longreach on a Trade Travel Famil with 3 staff from Trade Travel. Spending 7 days in Longreach & Winton visiting the many highlights on offer including an overnight journey on board the Spirit of the Outback Rail. The tour organisers can now promote to their club the prospects of a full tour to Longreach & Winton!